Many is the critic who has bewailed the existence of a truly recommendable recorded Lohengrin and this in spite of the efforts of Kempe and Kubelík. First of all let it be stated that Jochum does not act as a Knight in Shining Armour in this respect, for there are shortcomings to this 1952 account. Yet what he does provide is a moving experience, drawing out the prophetic passages that speak of mature Wagner while manoeuvring us expertly through those that … aren’t. The Act 1 Prelude demonstrates the excellence of his orchestra, the Bavarian Radio Symphony. This is glowing, heart-felt Wagner, exquisitely-shaped, at times positively Parsifallic. This Prelude exudes a great sense of breadth, of reverence, reaching far forward in this respect, implying the Holy revelations of the very end of the score. Further, lines are magnificently delineated. In terms of sheer control, there are few greater tests of orchestra and conductor than this, and Jochum and his players emerge magnificent; the climactic brass truly awe-inspiring. For further evidence of his ear, try the unaccompanied vocal ensemble towards the end of Act 1 (track 8 on disc 1 here), an ensemble that for once is not a meeting of vocal wobbles. The Herald is Hans Braun – and the greatest compliment I can give him is that he does actually sound like one. But it is Otto von Rohr that impresses as King Heinrich, his entry huge, the tone that of a real bass. It is important to note carefully here Jochum’s handling of the accompaniment, for he is here, as throughout the set, ever alive to the dramatic action in the orchestra. He never rushes his singer, so that Franz’s superb diction registers. Note how Jochum expertly prepares the entrance of his Elsa, Annelies Kupper. The magnificent chorus (Bavarian Radio also) is completely at Jochum’s beck and call, always well-balanced at whatever dynamic level is demanded. Kupper’s ‘Einsam in trüben Tagen’ reveals a pure soprano who has power up top yet still retains her tone at forte and above. This Elsa seems genuinely swept away by the second part of her solo (‘In Lichter Waffen Scheine’). Her prayer seems genuinely heart-felt – no wonder a swan appears as if by magic. Right from Lohengrin’s words of gratitude towards the creature, one can appreciate Fehenberger’s appealing voice. This is a soft-grained farewell; Fehenberger becomes suddenly stronger when he greets the King (track 7, 2’57). Fehenberger had the ability to project Wagner’s long legato lines well, an invaluable asset for any Lohengrin. Act 2 takes us to distinctly darker realms. At night, Telramund and Ortrud plot dark deeds of revenge. And how Jochum sets up this uneasy nocturnal atmosphere. The two characters here are well cast. 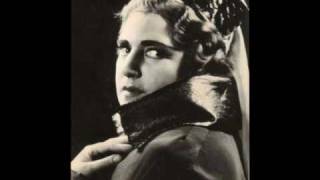 Telramund (the great Ferdinand Franz) is focused, set against Helena Braun’s threatening Ortrud; she sounds like a higher-pitched Erda, if you can imagine! In fact, Braun can be ultra-imposing; try her ‘Was macht dich in so wilder Klage doch vergeh’n?’ (CD 2 track 1). Her pitching is spot-on. Jochum maintains the dark hues perfectly throughout this scene and as an added bonus, when Ortrud and Telramund sing together in octaves at ‘Der Rache Werk’, we actually hear octaves! Later in the act, when Ortruds as a species tend to want to shriek and wail, Braun just manages to avoid this. A pity that Franz seems somewhat strained at the top of his range in his interruption (track 11). Jochum maintains the dramatic tension throughout this act. Elsa’s entrance from the Kemenate (women’s quarters), CD 2 track 2, is even purer after the foregoing shenanigans. The most famous passages from this opera occur in Act 3, of course. The Prelude is stock-full of energy, accents well-placed and there is just the right amount of give-and-take. The chorus, too, is exemplary in ‘Treulich geführt’. A shame, then, that Lohengrin’s ‘Das süsse Lied verhallt’ is not 100% in tune. It is Kupper’s Elsa that really lifts the ensuing duet although there is the distinct feeling that Fehenberger is raising his game, heading towards his ‘big’ end. Kupper sounds like a truly innocent, vulnerable bride. Jochum paces this act superbly, as one single line heading towards the climactic final revelations. At various points, I questioned Fehenberger’s Heldentenor status and indeed his final moments are marked by a more lyric impulse. ‘Im fernem Land’ is rapt, Jochum providing a positive halo of strings and flutes around his Lohengrin. Fehenberger floats the important word ‘Taube’ (‘Dove’) but at a thin half-voice, and his high note on ‘Krone’ does not ring out sufficiently. More, the all-important revelation of his name simply does not appear as the imposing moment it really is. ‘Mein lieber Schwann’ does bear the weight of an unbearable sadness, though … so why the half-hearted way with his final couplet? So it appears the perfect Lohengrin still eludes us. Nevertheless all admirers of this opera should hear this, without a doubt. Has there ever been a better time to be a collector of recordings? It seems that if you wait long enough, your wish list of long out-of-print recordings returns to the catalogue. I’ve been hoping for years for someone to reissue DGG’s early-50s Lohengrin, conducted by Eugen Jochum. And finally, Preiser has done it. The title role is sung by German tenor, Lorenz Fehenberger, probably best-known on recordings from an early-50s German Un ballo in maschera, conducted by Fritz Busch, and reissued on Gala. Fehenberger was a first-rate singer, with a very attractive and ample lirico-spinto voice. He was also an excellent musician, who phrased with real sensitivity and dynamic variety. And he was quite versatile, singing a wide range of operatic and oratorio repertoire. Fehenberger may also be heard on a Preiser recital disc, as well as in performances of Aida (see REVIEW), Daphne (Leukippos and Apollo), Samson, and Rossini’s Stabat Mater. I think that Fehenberger is, quite simply, one of the finest Lohengrins on records. He has absolutely no difficulty with the heroic parts of the role. But he can also scale his voice back to sing quite sweetly, making his scenes with Elsa all the more effective. And he is a wonderful actor—the pain in Fehenberger’s voice when Elsa betrays him is quite moving. This is one of the most human Lohengrins I’ve ever heard, and the role is all the better for it. Annelies Kupper brings both vocal beauty and passion to the role of Elsa. She is a worthy partner to Fehenberger’s Lohengrin. Ferdinand Frantz is his typical fine self—a vibrant Wagner heldenbariton who throws himself into the role, relishing the music and the text. At this stage of her career, Helena Braun is a little strident vocally, but that doesn’t bother me much with a role like Ortrud. The character is, after all, evil personified. And Braun, like her real-life husband, Frantz, is a superb actor. Otto von Rohr and Hans Braun offer fine contributions as, respectively, King Henry and the Herald. The other star of this recording is Eugen Jochum who was a great conductor throughout his long and celebrated career. But I particularly like his work from the 1950s, including some wonderful Beethoven and Bruckner, as well as this Lohengrin. Anyone familiar with Jochum’s Bruckner interpretations knows that the conductor had a knack for giving full due to the beauty of the music, all the while maintaining a sense of momentum, even when employing leisurely tempos. Jochum masterfully paces Lohengrin so that even the often-interminable parts (like sections of Act II) never lag. And the playing of the Bavarian Radio Orchestra under Jochum’s baton is absolutely gorgeous. The CD issue—made, I believe, from a quiet LP pressing—is quite fine, with good presence accorded the voices and orchestra, ample dynamic range, and minimal distortion. If you love Lohengrin as I do, I hope you’ll find the opportunity to hear this recording. Even if it is not your favorite, the recording is a wonderful souvenir of a vastly underrated tenor, and a great conductor at the height of his powers.